Ooooo real estate. Did you know one of my favorite magazines is Country Living, despite not living in the country or anywhere near it? Well it is. One of my favorite features is their real-estate round up, where they set a reasonable price and see what you can get for the money. The homes they chose are typically around the south and midwest, so just for fun I decided to do a nation wide scan. Also because I am addicted to real estate. Here were my restrictions: $300,000 max price, architectural charm, no new builds, good neighborhood (as best I could tell), I actually liked it, within or near a larger urban area. Huzzah! Six homes from around the nation to compare, covet and criticize. Please, please check out the rest of the homes' photos, some of the interiors will surprise you and definitely sway your opinion. Happy house hunting! Features- Near Green Lake, porch, hardwood floors, recent kitchen remodel. 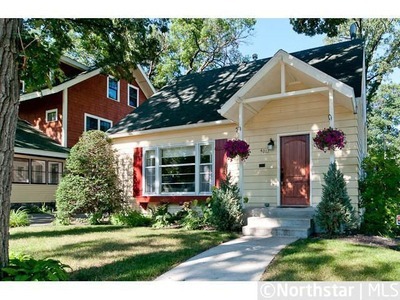 Features- Super coveted Linden Hills neighborhood, near Lake Harriet and Lake Calhoun, general interior charm, attached garage, large yard. Features- Historical, french doors and windows, gorgeous millwork everywhere, curving staircase in foyer, wrap around porches. Features- Views of Lake Champlain, wraparound porch, stained glass, fireplace, hardwood floors. 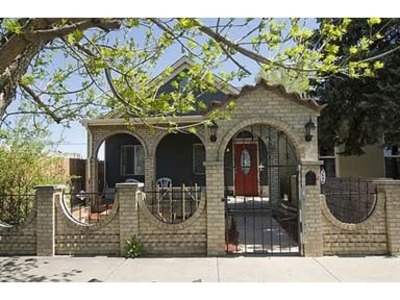 Features- Historic neighborhood, artist studio, recent kitchen reno, spiral staircase. Features- Victorian detailing, recent kitchen renovation. Which one would you chose? I am dying to know. Think you can find something better in your area? Let me know, I'd love to see.